However, when she sought the services of the health centre’s ambulance, she was allegedly told that the ambulance would be transporting health workers for training at Rhino Camp Sub-county. Her relatives were forced to hire a lorry that was passing-by the health centre to take her to Arua Regional Referral Hospital. Speaking to the Daily Monitor at Arua Regional Referral Hospital, Ms Candiru, 35, said: “After we were told that there is no ambulance, I saw death coming either to me or my child. But unfortunately the child died. All I wanted was to reach the hospital and deliver,” she said as tears rolled down her cheeks. Her brother, Mr Francis Korubuga, who was by her side, said: “As the pain continued at Olujobo Health Centre III, the relatives went by the roadside to look for any vehicle passing by. We then landed on a truck that carried goats, charcoal, firewood and sacks of cassava. 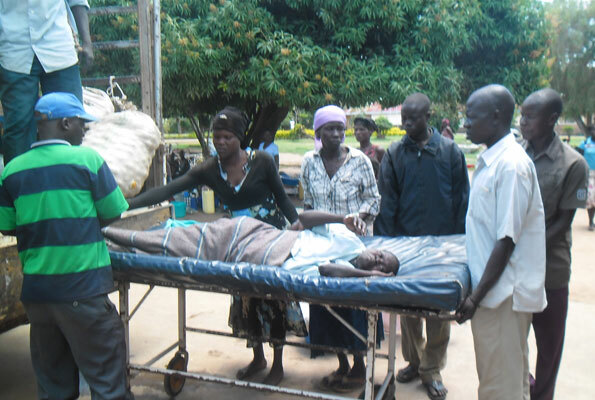 Then we had to pay Shs130,000 to hire the truck to carry her to Arua Regional Referral Hospital.” When contacted for comment, the District Health Officer, Dr Patrick Anguzu, said he would investigate the matter and those found culpable would be prosecuted. “Our priority is first to save lives of patients,” Dr Anguzu said. However, efforts to speak to the officer in-charge of Olujobo Health Centre III, Mr Rophin Anguzu, were futile as he could not be reached on phone by press time.